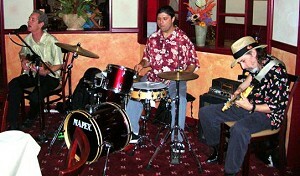 Mark's first album, includes 10 original songs and showcases Mark's cool blues guitar and soulful vocals. Mark Armstrong is on the radio in Europe ~ Check it out! 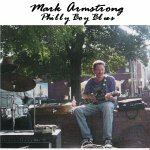 Mark Armstrong is an original blues guitar player and singer that has been playing for years throughout the Northeast and Mid-Atlantic. With a unique open-tuned blues guitar style, rich vocals, and strong deep-rooted lyrics, Mark moves listeners with a down to earth, grounded style that tells it like it is. 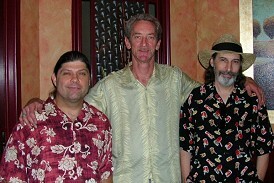 "Mark with Seymore and Charlie at Bourbon"
Check out Mark loose jamming with some friends last summer! Mark Armstrong Plays The Blues! Copyright Mark Armstrong 2005 All Rights Reserved.